"Yes, I got both as well." Can you status match Marriott status to Accor? "Currently Platinum Elite with Marriott however I've started travelling to a new city for work and want to stay at Sofitel which is nearby the office. 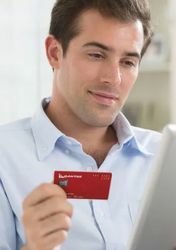 Is anyone aware of any Accor status match offers or fast track challenges available for Accor program? Thanks." "Originally Posted by New Mint Hi all. I’m usually good with this stuff but I managed to leave an iPad on a VA domestic flight Thursday (BNE - MEL). Has anyone had any experience with retrieving items left on the plane? I’ve spoken to baggage at Melbourne Airport but nothing has bee..."
"Given you only earn double status credits on QF I would suggest taking an indirect flight to Singapore (SYD - BNE/MEL-SIN) and then pick up a bargain Singapore to Chennai (via KL) business class ticket on Malaysia Airlines as a separate ticket. There are usually some very good Malaysia sales for ..."
"I flew in from Singapore on Saturday morning and I had already received the email when I turned my phone on after landing. I always make the an effort to complete the survey and have found in the last six polls the majority of my feedback was positive. On my most recent flight I took the A380 vs ..."
Do Qantas put their prices up during DSC promotions? "In my experience I haven't noticed an increase in non sale fare prices, it's more that there are limited (never for the places I need to book) sales on during the period." "I got mine today as well, order was placed 16 Jan."
"Qantas have recently started actively enforcing their carry on baggage policy and it appears to be consistently enforced at least within domestic network. According to their website the dimensions for the largest bag carry on are identical for domestic and international (115cm) per item. If your ..."
Velocity Gold Status - 60,000 points? "Value is very subjective, personally I would not pay 60,000 points to maintain Gold. Have you considered booking a status run? Brisbane to Melbourne (return) Elevate fare will give you 40 status points. Also, I would try calling back and getting a different agent. " "In business class, SQ sleeper service meals are usually served at the beginning of the flight with no choice for starter and less main options than normal. Dessert is often just fruit. I'm not sure of the Premium Economy options. My suggestion if you're flying on SQ322 11:45pm departure from Sing..."
"Hi all, I am due to fly on Emirates flight Singapore to Melbourne and have booked a chauffeur-drive pick up. (First class ticket) I'm planning to take 1 large suitcase, my carry on suitcase and a bike (in box 134 x 24 x 75cm). Their website advises: Only adult passengers are entitled to Chauffeur..."
"Yes you can wear pajamas - I'd probably stick to something very basic and comfortable like track pants and a t-shirt so that it's less revealing as you go from the bathroom to your seat. You will often see seasoned travellers quickly change before departure into something comfortable. I'm not sur..."
"SQ232 from Sydney to Singapore is the new Suites first class. Enjoy!" Best Star Alliance credit cards for Singapore? "Hi, I moved to Singapore a few years ago and I have the UOB Privi Miles MasterCard. I find this card to be really good - 1.2 miles per $ in SG and 2.4 miles per $ overseas. Credit card market in Singapore is really competitive with many locals holding multiple cards. If you travel overseas a lot ..."